Order your Hosa GXR135 XLR Male to RCA Male Adaptor from AMS and enjoy Fast & Free Shipping. Get the Best Deal with our Lowest Price Guarantee & Great Customer Service! 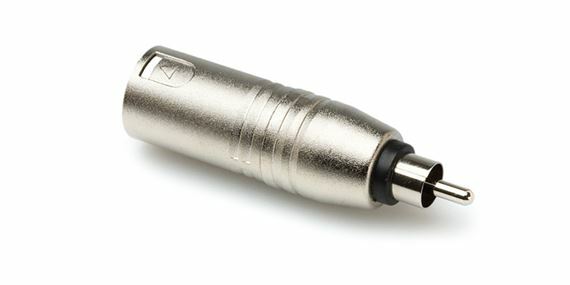 Connect a couple of these into the back of your powered speaker and convert that XLR connector to a handy RCA connection for DJ gear with only RCA outputs or even a quick connection to a media player. Pin 3 on the XLR connection is grounded resulting in an unbalanced signal.